BUDDY punching-not the violent connotation, but equally malicious and punishable under most corporate guidelines on proper employee behavior-is the practice of cheating time clocks by punching in the attendance card or swiping the ID of a co-worker in his absence. Biometric Access Systems Pty Ltd has the technology to combat this. A biometric fingerprint time clock generally is composed of three major components that make it work: scanner (on which one places a finger for the print to be scanned); software (that transforms the scanned information into digital format); and database (where authorised fingerprints are stored in digital format). Biometric fingerprint time clocks may be installed on each side of a door to facilitate close monitoring of employee ins and outs. The biometric clock is wired into the door latch, allowing it to mechanically open and shut. But for just attendance monitoring, one unit for a whole office may suffice. A device is capable of storing large amounts of data. Once installed, the user will have to get each employee to register a fingerprint. They may need to have their IT (information technology) employees help them with this. They will create a master list of names and their corresponding fingerprints. Additional programming is needed for flexi-time employees who do not subscribe to the general work-schedule hours. After completing the database, the device is ready. Employees will only need to put a finger on the scanning interface of the time clock. The print will be processed, and if it matches an image stored in the database, the door will open mechanically. If not, access will be denied; there's no prying open the door or getting around the system. 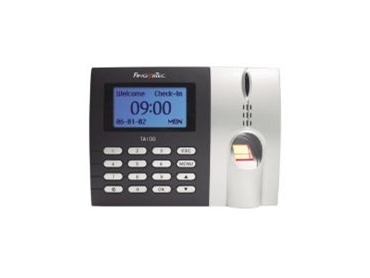 Biometric Access Systems Pty Ltd can help Australian businesses adopt the above system with ease. All products are user friendly and complete with software plus manuals in VCD formats.